We offer several services to help enhance and protect your trees and plants all year round. Mulch is used around all plant materials as an insulator and for moisture retention. Eden Farms recommends using only top grade products to enhance your property’s appearance and provide protection for your plants and trees. Mulching operations are done in April and May for season-long protection. We offer pruning for all shrubs and groundcover. We take extra care to shape and shear in accordance to current industry standards. Dead or damaged branches will be removed. Ornamental vegetation will have all low-hanging limbs removed and branches cleared from the building, walks, and parking areas. We also lightly shape the ornamentals according to the homeowner’s preference. 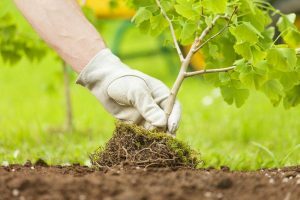 We offer fertilization of all shrubs and ornamental trees in the Spring and Fall with a fertilizer that is completely organic. Note that there is a difference in pricing for mature shade trees.